By Robin Wauters , February 2nd, 2016. Spotcap, a fledgling Rocket Internet-backed fintech startup based in Berlin, has scored €31.5 million (roughly $34.3 million) in funding from Moscow, Russia-based private investment group Finstar and prior backer Holtzbrinck Ventures. The company had earlier raised €5 million in 'growth debt funding' in March 2014, followed up by a €13 million round (with participation from Len Blavatnik's Access Industries) in October 2014. When it last secured financing, the company had only launched its online lending platform for a few weeks. A year later, Spotcap hit half a billion euros in 'credit inquiries', positioning it for solid growth coupled with rapid international expansion (as is its backer Rocket Internet's modus operandi). Spotcap is not a peer-to-peer lending marketplace (like, say, Rocket Internet's Lendico), and focuses squarely on loans to SMBs. If you must compare it to other fintech companies, the closest would be Kabbage in the US, LoanBook in Spain, and EZBob and iwoca in the UK. Toby Triebel, co-founder and CEO of Spotcap, told Tech.eu that the additional financing round was needed for three main reasons: 1) to support fast growth in the handful of markets it currently operates in, 2) to fund its own loanbook (because it's not p2p, Spotcap requires debt capital to guarantee loans and provide proper credit to businesses) and 3) to expand internationally. 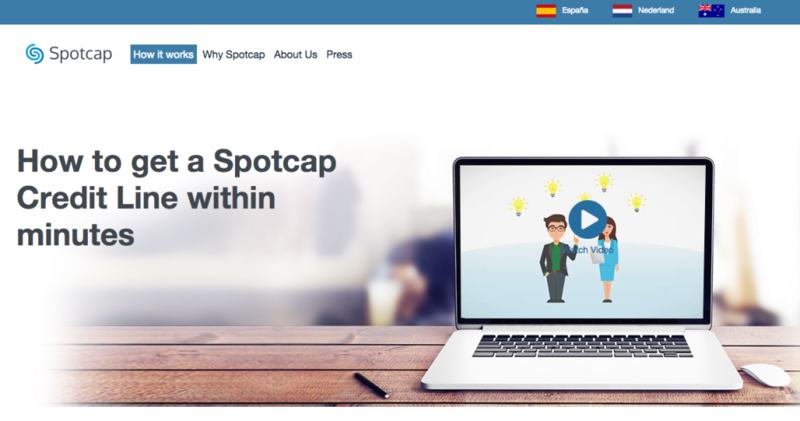 Today, Spotcap's online lending platform is available in the Netherlands, Spain and Australia. Notably, even though the company's based in Berlin, the platform is not available in Germany. In a recent phone call, Triebel argued that "Germany is over-banked, if anything", making the market not as a attractive as countries and regions where SMBs don't have many alternatives when it comes to securing loans, particularly online.